Vue Vuex Boss is a mini boilerplate for Vue. It can serve as a starting point for building new projects, providing a basic layout built using Bulma, state management using Vuex, mixins and more. 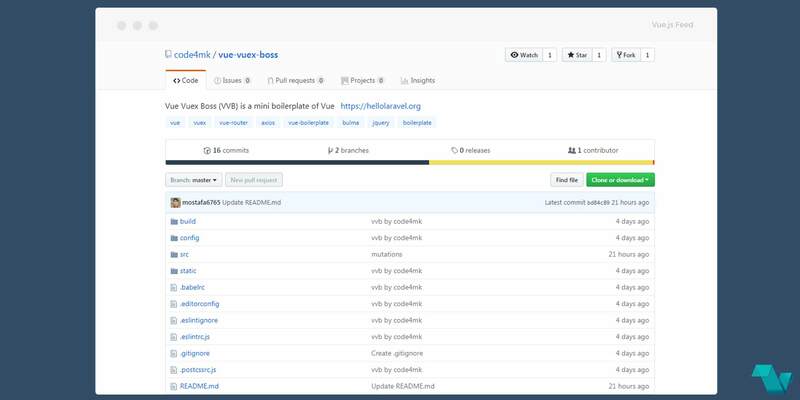 The repository of Vue Vuex Boss is located on GitHub. By @code4mk.